Superdry men’s Hacienda chore coat. 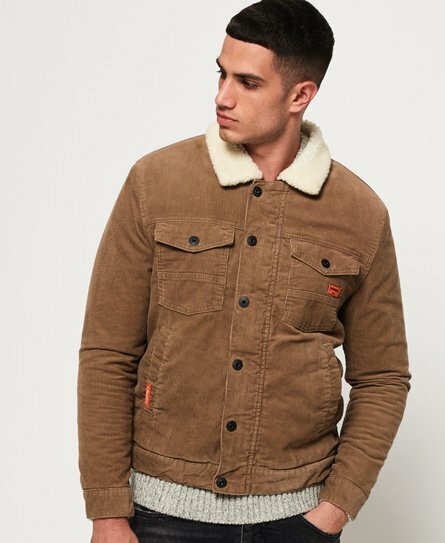 A staple for your wardrobe this season, this corduroy jacket has four front pockets and a fleece lined body for extra warmth. The Hacienda chore coat also features a zip and popper fastening, popper fastened cuffs, and is finished with Superdry logo badges on two of the pockets. Wear this jacket with slim jeans and boots for a stylish look you can wear anywhere.